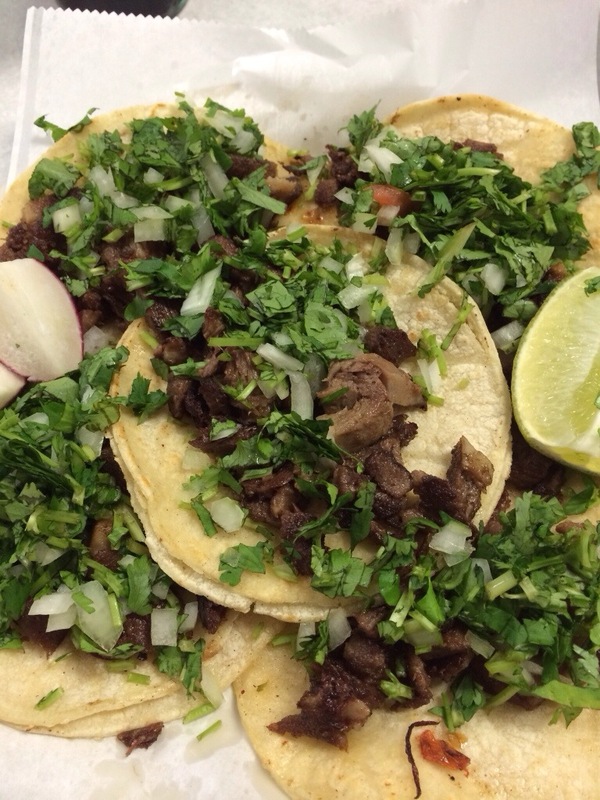 Have you ever been to a Mexican food restaurant and seen lengua on the menu? Lengua means tongue, usually beef tongue. I love tongue, and yes I realize I am in the minority. Growing up we ate variety meats. My Mom taught me how to make a pretty mean tongue stew. Once in college I made “beef stew” for my friends. After second helpings it came out that the meat used was tongue. Needless to say their previously happy taste buds couldn’t get past the protein used. The hubs (who is not a lengua fan even likes these) and I have discovered a Mexican restaurant in Lincoln that makes an awesome lengua taco (well 5 little ones to be more precise)! They are served with cilantro, lime, onion, and an amazingly spicy salsa! If you are ever in Lincoln, Nebraska look up Las Bugambilias at 900 S 13th. Delicious! Next Vegan, Vegetarian, Meat-atarian…What does it all mean? Have never tried tongue. Growing up Mom would cook beef brains for my stepdad and I would choose beef liver instead! Have always loved liver and onions! Tongue is my favorite variety meat. I have never tried brains, but I do like liver and onions too!